Jean Morton has a record which will never be challenged in British television. She was the country’s first regional woman station announcer. 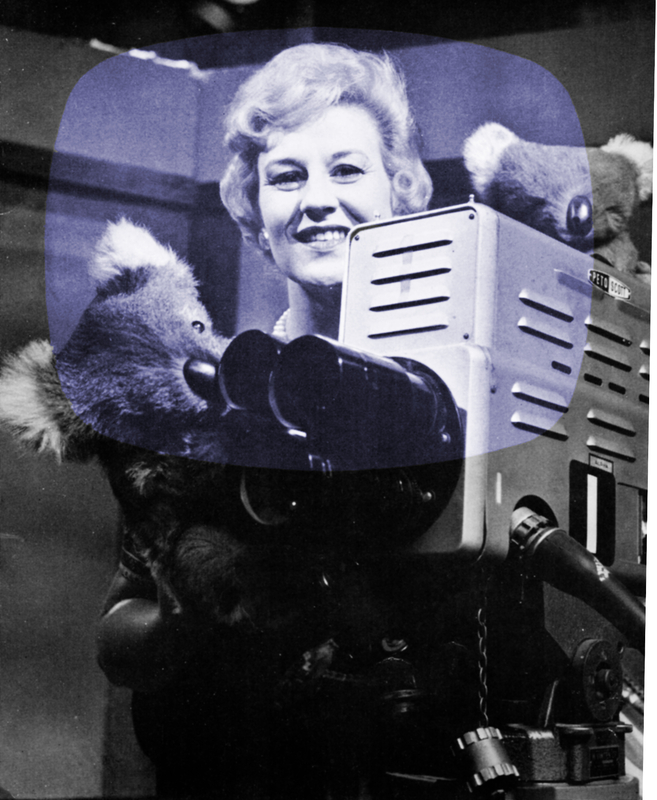 Introduced to viewers in the “Popeye” series, Jean Morton’s Koala bear puppets, Tingha and Tucker, soon became favourites. Viewers wanted to see more of them and they earned a place in “The Adventures of Pinocchio”. Viewers know her as the friendly hostess whose natural style is an invaluable asset in linking programmes. She is cheerful, charming and spontaneous. They know her, too, as a versatile personality, confident and talented as she achieves the smooth running of such programmes as “Rainbow Room” and “Cover Girl”. Jean herself has become a Midland celebrity through her ATV appearances. She is accustomed to welcoming and interviewing the many celebrities who appear in programmes produced at Aston. When readers of a Sunday newspaper were asked to vote for their favourite announcer Jean topped the poll. It is not surprising, therefore, that her services are in constant demand at functions of all sorts in the Midlands. She is a skilled puppeteer and a great show business personality—versatile, poised and knowledgeable. Housewife, mother and TV hostess: life is busy for Jean. She has a flair for doing well everything that comes her way.